A 1970s funk band, best known for launching the career of their lead singer, Chaka Khan. 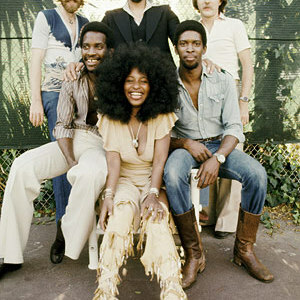 Major hits during their career include "Tell Me Something Good," "Sweet Thing," and "Ain't Nobody" Rufus gained a fan in Stevie Wonder thanks to their cover of his "Maybe Your Baby." Wonder gave them a new composition, the slowly grinding "Tell Me Something Good," that he'd written specifically with Khan's vocal style in mind.